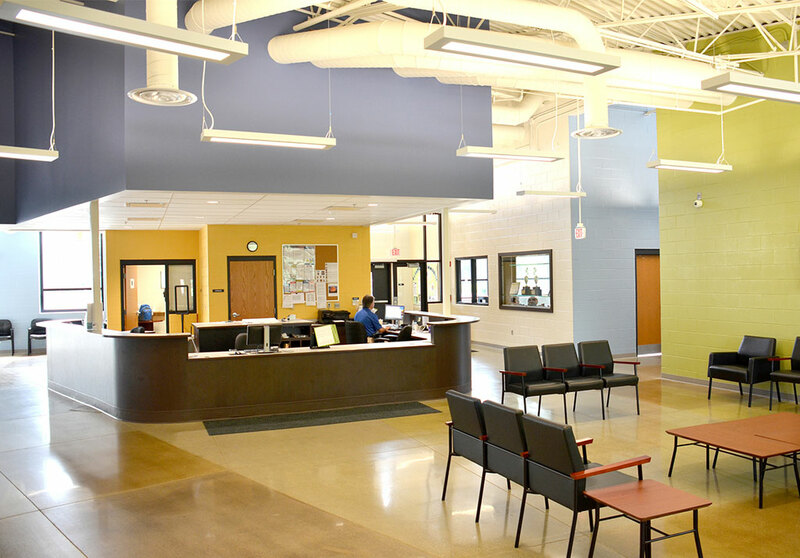 Glenwood Recreation Center - PRIME AE Group, Inc. Responding to the site opportunities and consensus of the neighborhood residents, the new facility was situated to maximize use of and integration with the surrounding park. Massing of the building addresses the surrounding residential scale while incorporating 3 large volume spaces (gymnasium, auditorium, multi-purpose room). 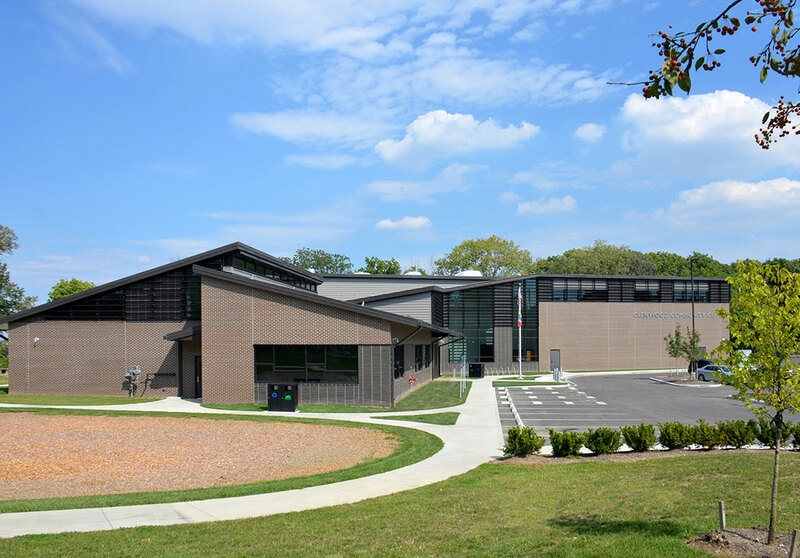 As a LEED Certified project, the design maximizes daylighting, affords energy efficiencies, and considered re-purposed materials from the existing multi-level building. 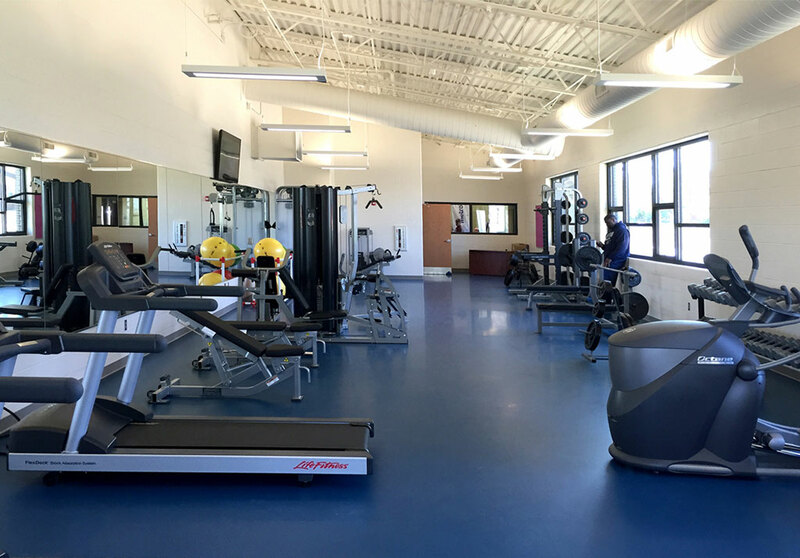 The adjacent pool facility was programmed into the overall master planning exercise that considered building placement, parking layout, and other amenities such as basketball and tennis courts, outdoor fitness and play areas, and a walking path.